It does not take a lot of effort to install a dash cover, but the great looks and protection provided by the car dashboard cover are worthwhile and it can even extend the life of your vehicle interior. As your car dashboard is directly exposed under the sun, a car dash cover can help to protect your dashboard against the heat, UV, sun damage, dust, dirt and scratches as well as prolonging its life and potentially saving you money for repair. If you’re wondering which are the best car dashboard cover to buy, we’ve you covered. We’ve compiled a list of the best car dash covers for you to choose. Read on and pick the right one for you. 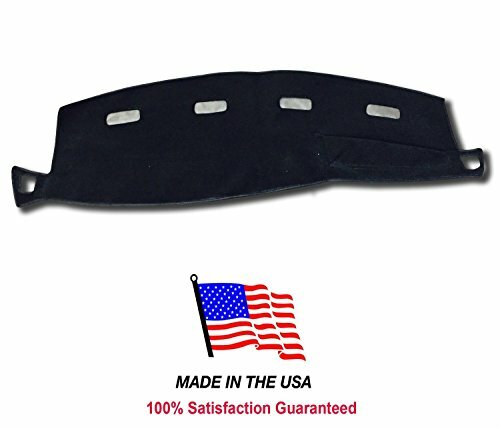 How Much a Car Dash Cover Cost? How do Dash Covers Protect the Car Dashboard? Also, If you want to learn more about car covers and the importance of getting proper car accessories, head on over to these articles – Best Car Covers, Custom Car Covers and Car Window Covers. There are many types of materials and styles for dashboard covers. Some come in velour or suede, and from standard colors to wild custom prints. Also, there are several different brands out there too. Many people like to go with the Suede material due to its high-quality synthetic material that looks and feels good on the car interior. And, some like the look and feel of carpet. These cover are made of durable needle-punch carpet and soft-molded to fit your car dashboard’s contours. The WOLF DashMat is created with high-quality polyester fabric, and it has Soft Foss fiber carpet for a better surface. The polyester used is made from 100% recycled plastic bottles, so you know that the company takes care of the environment as well. This cover is non-shrink even when exposed to heat and is UV resistant which makes it an excellent sunshield for your dash. It can even keep the interior of your car cooler in the summers and warmer in the winters. It features a hook and loop fasteners for easy application. Plus, it comes in lots of colors to suit many types of interiors. Fit for Honda CRV CR-V 2017 2018,without HUD. 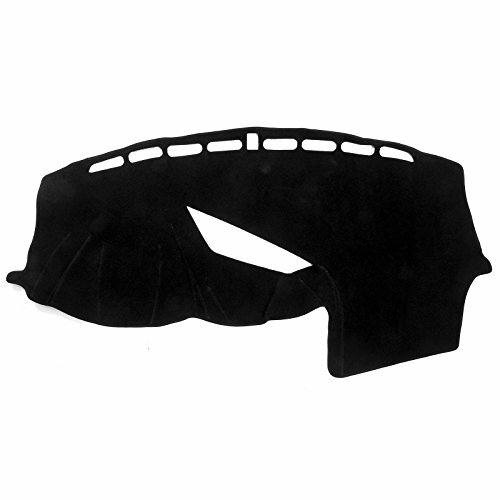 The Salusy Dashboard Protector is made from environment-friendly felt fabric. Its carpet surface is made from a durable, anti-slip material which helps it stay put on your dash. With this cover installed, you can defend your dash from unwanted cracking and discoloration from the sun’s glare. This dash cover can also keep your vehicle’s interior temperature cool on summers because harmful UV rays can’t heat up your dashboard. It can also protect your dash from the cold during winter. However, this cover isn’t universally fitting so make sure that you get the size that fits your car perfectly. This specific model is made for the Honda CRV. The AutofitPro cover is made from the highest quality felt fabric and even boasts of a silicone sheet backing that has amazing anti-slip properties. It offers your car 100% protection against UV radiation, discoloration, and deterioration. This cover can also lessen your interior’s temperature during the hot weather. You don’t need to use any type of adhesive since it already has an anti-slip backing. All you need to do is place the mat on top of your dashboard. Remember that this is custom-fit for Toyota RAV4. If you want the most durable dash cover ever, get a molded one. It’s not made of fabric like most dash covers. Instead, it’s made from ABS plastic precisely to fit your cover perfectly. You will need to use a silicone adhesive when you install it, as well as follow the instruction guide that comes with it. No interior components need to be removed, and no special tools are required. All you need is about 30 minutes to install it correctly. This dashboard cover is warranted for life against damage done by UV rays. The Angry Elephant carpet dash cover perfectly protects your dashboard from harmful UV rays, and as a result, prevents fading and cracking. This Dodge Ram dash cover is carefully laser-measured, custom-fit to a specific vehicle so a perfect fit is guaranteed. 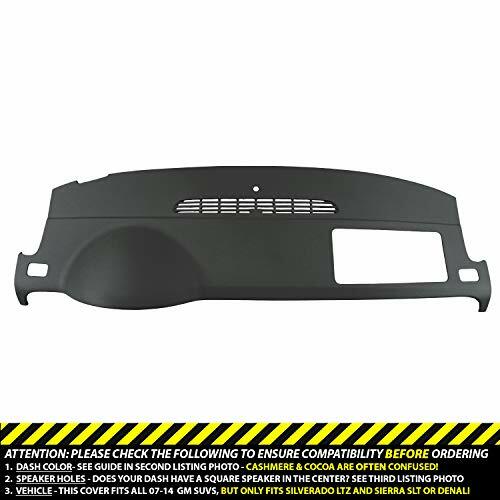 It’s made to fit Dodge Ram 1500, 2003-2005 2500-3500. Also, this dash mat is patterned to be compatible with your vehicle’s airbags and it’s held in place by Velcro tabs which come together with the cover. Installation is very easy. All you need to do is fit the mat on your dash car dashboard and secure it with the Velcro strips. To buy this product with a peace of mind, all Angry Elephant dashboard cover comes with a lifetime warranty from fading and fraying. This car dashboard cover is custom-made to perfectly fit for Dodge Ram vehicle. It will blend in nicely with your existing dash configuration. The Covercraft carpet dash mat is excellent for protecting against UV and sun damage. Also, if you have an older dashboard with imperfections and cracks, this dash mat will cover it perfectly. Another plus point for this dash mat is that it will keep the interior of a vehicle cooler in the summer and warmer in the winter. As for the installation, it’s effortless. To adhere this dash cover to the dashboard all you need is using the Velcro strips that come together with the product and follow the simple instruction to install this dash mat. Also, there are eleven color options to pick, from black to gray to navy to beige. You will sure to find one that suits your car. And, all Covercraft dash cover comes with a limited lifetime warranty. So you can buy with confidence. The soft fabric material is excellent at guarding your dashboard against UV rays, sun damage, fading and cracking. It also comes in many different colors for you to choose too. As for installation, you do not need to worry about it as it’s easy and straightforward. Also, this dash mat is designed to perfectly fit GMC Yukon and Chevy Tahoe for models 2007-2012. So, you do not need to worry if it will block the vents, sensors, airbags and other features on your dashboard. All Seat Cover Unlimited comes with a lifetime guarantee on fading and shrinking. This is another excellent dash cover by the Seat Covers Unlimited. 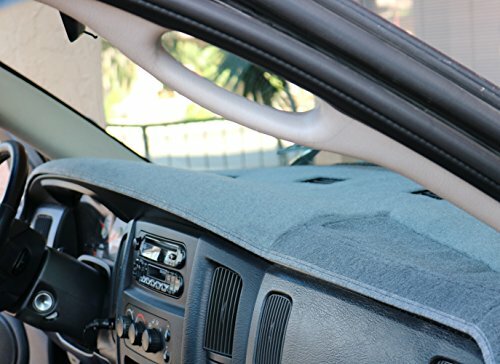 Made specifically to fit the Dodge Ram Dash 1500 model, this dash mat is excellent at protecting your vehicle interior and dashboard from the usual sun damage like the UV-ray, crack and glare. It’s also great at keeping your dash clean from stain, dirt and dust. Also, this dash cover comes in nine different colors. For sure you can find one that suits your car. If you’re looking for a dashboard cover for your 07-14 GM truck, this is it. While most of the aftermarket dash covers are made of soft fabric but the DashSkin Molded dash cover for GM SUVs is made of hard plastic. This molded plastic dash cover installs right over your existing dash configuration, protecting it while making your entire vehicle interior look and feel like new. There are four colors to choose; including black, cashmere, cocoa and dark titanium. So, it should not be hard to pick one that suits your vehicle. Also, this dash cover is excellent at protecting your car interior from the usual sun damage like UV rays, fading, chipping and cracking. As for the installation, it takes less than 30 minutes and the cover comes with the silicone tube as adhesive. This Neverland non-slip dash mat is specially designed to fit for Toyota Corolla year 2014 – 2017. Made from environment-friendly material and quality needle-punch carpet, this dash cover is made to be durable and can resist bad smells well. It also has an anti-slip property. Also, this car cover is excellent at protecting your car interior and dashboard from cracking, discoloration and glare. In the winter, the dash mat can retain heat so your car remains warm and comfy. And during summer, it keeps your car cool by blocking the UV ray from heating up your dashboard. Custom Made for your vehicle. 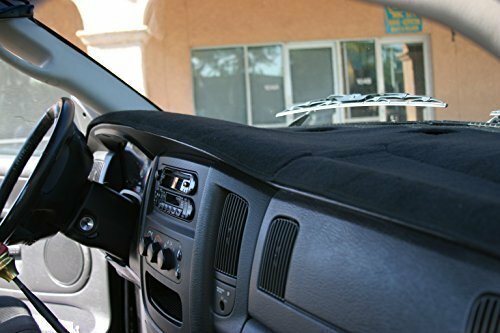 The PRC carpet dash cover is another quality dash cover made for the Dodge Ram 1500 2002-2005; it also can be used for Dodge Ram 2500 & 3500 2003-2005. 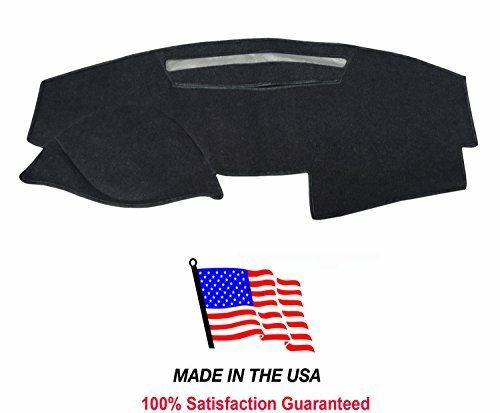 Like the Angry Elephant carpet dash cover, it’s made to protect your dashboard from harmful UV rays, and as a result, prevents fading and cracking. Installation is simple and straightforward. All you need to do is fit the mat on your dash car dashboard and secure it with the Velcro strips. Also, this dash cover is made in the US. If you want to know more about custom-fit car cover services for specific brand and type, head on over to these articles – BMW Car Covers, Covercraft Car Covers and SUV Car Covers. For a start, not all dash covers are designed to universally fit all cars. Always start by looking at the cover’s design and whether or not it’s compatible with your specific vehicle. Although there are some universal dash covers but we recommend you to pick on that made specifically for your car. Dash covers come in different materials, colors and styles. The easiest way to pick a cover that will complement your vehicle interior is to choose the one that fits with the existing interior style. The simplest is to pick a dash cover to match with your car interior. If you have a darker color interior then choose a dark cover that blends right in. Or you can pick a gray dash cover for extra contrast. If, on the other hand, you’d like to freshen up your interior by bringing in some contrast, go for lighter covers such as grays or light browns; even a camo dash cover might work, especially if you’re an outdoor enthusiast! Most of the time people buy dash mats and custom dash covers are to protect their dashboards or to camouflage the existing damage and prolong the dashboard configuration’s life as much as possible. 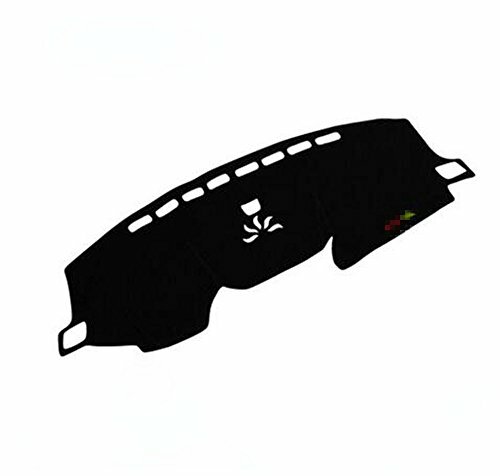 Depending on whether you’re in the prevention or camouflage group, it will determine the right kind of dash cover you. For example, if you looking for prevention, then you can afford to buy a simple dash cover that is usually inexpensive. However, if you’re looking to hide the existing cracks or damages in the dashboard, then you should look for a quality rigid dashboard cover. A molded dash covers are the most suitable to camouflage very damaged dashboards. However, to use a molded dash covers, you have to make sure there is enough material left on the edges to support the cover. Last but not least, consider your own budget. Be prepared to pay more money for quality covers that can last for a long time. Even though you’re paying more money to buy a quality dash cover but it’s still cheaper than buying a new dashboard. No matter how well we take care of the dashboard, it will eventually get damaged over time. Sunlight and heat will eventually cause the dashboard to fade, chip warp and even crack. It does not matter how much protective formulas and cleaners you use, some damage is unavoidable. However, we can always slow down the sun damage by using a quality dash cover. A dash cover or dash mat will protect your vehicle dashboard from harmful UV rays and heat as well as help to block dirt, dust and improve the car interior aesthetic as well. The reason a vehicle dashboard got discolorated or cracked is all due to sun damage from UV-ray and heat. For folks that are living in the hot states; scorching weather can leads to dashboard fading, warping and eventually cracking. Also, a hot dashboard will significantly increase the temperature inside the car which is terrible for driver and passengers. And, since a car dashboard is located under the windscreen, the dash will always be under attack by the heat and sunlight on all seasons. So the easiest way to stop the damage from UV-ray and block out some of the heat is to use a dash cover or mat. A good dash cover or dash mat will help to keep your entire dashboard configuration like-new for years to come. It will also save your car interiors from sun damage as well as block out the heat and prolong its life. After some time, your car dashboard will start to accumulate dust, dirt and grime and the finish becomes faded and dull. The best way to protect the dashboard from damages caused by dirt is to use a dash cover. Not only a dash cover can keep your dashboard safe but it will also make it look clean, neat and like-new for a very long time, lengthening its life and ultimately saving you money. Car covers are not only used to protect the car dashboard, but it can also add a touch of personal style to your vehicle interior. Looking at the same dashboard every day can get bored after a while. So, why not jazz up your ride by installing a brand new custom dash cover. Dash covers are one of those interior accessories that are easily affordable and a quick way to brighten up your vehicle interior without much effort. Carpet is one of the most common and popular materials used to make dash protectors. Carpet dash mat is easy to install and match any cars interior. They also come in many different colors and it’s easy to find one that fit your car. Also, carpet dash mat is excellent at reducing sun glare during the sunny day. Velour is a knitted fabric or textile similar to velvet or velveteen. It’s usually made from cotton, but some can be made from synthetic materials such as polyester. Velour material is excellent at withstanding extreme temperatures and durable too. Suede is a type of leather with a napped finish. The surface looks luxurious and is soft and smooth to touch. If you like the touch and the look of luxury on your dashboard, suede dash covers are the way to go. The Suede dash cover also offers excellent protection, not hard to maintain and will last a long time too. 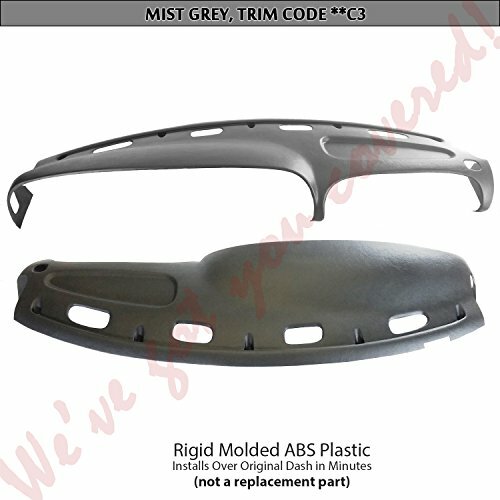 Molded dash covers are made to fit your car nicely. It’s usually made according to the car model because the dash cover needs to match all your dashboard configurations. Molded dash cover can offer a smooth and seamless look that can complement the look of any interior. Also, it’s usually come in one-piece covers and it can cover up any existing damage perfectly, giving your vehicle a whole new face. Clean your existing dashboard and make sure no dirt, grime or dust before applying the Velcro strips. Dust or dirt will cause the strips adhesive to be ineffective. Before attempting to an apply adhesive to install the dash cover to the dashboard, make sure the dash cover or dash mat should fit snugly over the entire dashboard. Sometimes, minor adjustment or tweaks may be needed. If the dash cover needs silicon to adhere onto the dashboard, then only apply silicone to the underside of the cover and around the edges and vent holes. However, if it uses Velcro, cut the tape into 1-inch strips and place them at the front and back of your dashboard. Start installing the dash cover from the front end and slowly move to the back. If you do it right, everything should fit snugly and perfectly; however, a little bit of wiggling or straightening is needed along the way. To assure that you can protect your interior from sun damage as thorough as possible, you can also avail custom dashboard covers. Whether you choose stretchable or molded dash covers, both are sure to be compatible with your dash’s size and design. Dash covers are harder to make with a one-size-fits-all mentality since most dashboards differ too much. Good thing you can get ready-made dash covers for specific car models. If you can’t find someone who sells a dash cover for your car model, then the best thing to do is avail a custom dash cover service. You just need to find a brand and service that provides a service you feel confident in and ask for a quote. Depending on the brand and material of dash cover, the pricing can be range from $30 – $50. But usually, the good quality ones are they generally cost around $50 or less. Velour and carpeted covers usually cost around $35 while suede types cost around $50. Plastic dash covers, on the other hand, are the most expensive, costing around $100. Your vehicle isn’t always inside your garage. In fact, you’ll be using it outside most of the time. So sun damage is a very real problem for you. Sun damage isn’t limited to UV radiation after all. Its heat can also cause unwanted effects on your dash. Most dashboards are made with leather or plastic or similar material. These types of fabrics easily crack when exposed to heat a lot. In some cases, it can even melt. Also, the sun’s glare can hasten the fading of your dash’s color. It can also lead to discoloration. Both can pose aesthetic problems for you. After all, who wants a beautiful looking exterior just to get a crappy looking interior, right? A car dash cover helps lessen the damages the sun’s glare, and heat can do to your dash by making sure that it can’t be hit directly. Car dashboard covers are usually made up of different fabric. Fabrics like suede and poly-carpet can be used so that you can get a soft surface. Effectiveness can depend on the type of material used and the quality the cover is made from. A cover’s fit can also be taken into account when it comes to effectiveness. An ill-fitting cover can expose some parts of your dash, and when this happens, the cover won’t be able to do its job correctly. A perfect fitting one will not expose any surface and can successfully protect your dash. Covers can also come in a variety of colors and some even have personal embroidery. Also, there are many types of material too like the plush velour, brushed suede, poly carpet, Sedona suede, dashtex and camo. Furthermore, some covers can also be sewn to your actual dash while some can be stick on it with adhesives or Velcro. If you want to check out other special car covers especially ones with great winter features, head on over to these articles – Hail Car Cover and Car Cover for Snow. While having a dash cover is great at protecting the car dashboard but it will be dirty overtime. So, some cleaning must be done from time to time. Before doing a major cleanup on your dashboard cover, keep in mind that different materials may require different cleaning processes. To be sure, take a look at the cover’s manual for instructions on how to clean it. You can do an initial cleanup using a car vacuum or soft brush to remove loose dust on top of the cover. In general, you can spot clean almost all kinds of dash covers using warm water and a soft cloth. Do not use harsh chemicals that can possibly damage the cover and degrade its quality. To be sure, stick to mild cleaning detergents. Over time, dash covers will eventually fade even if they are UV treated. To slow down the fading process, you might want to invest in a good windshield cover. This accessory will not only provide protection to the dashboard cover, but it will also help protect the rest of your vehicle’s interiors.